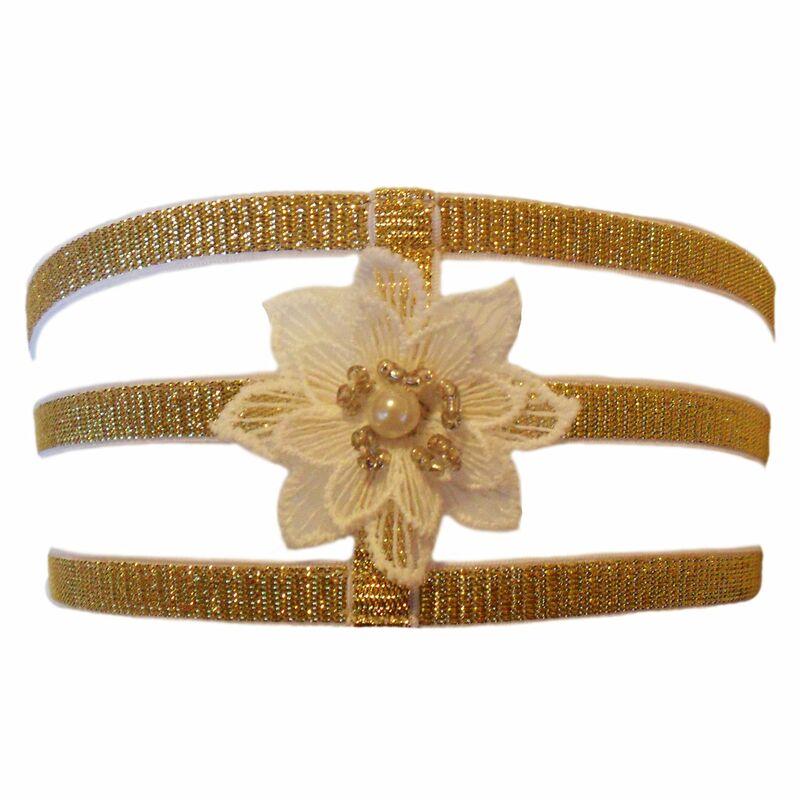 A modern garter in soft-backed glittery gold elastic. 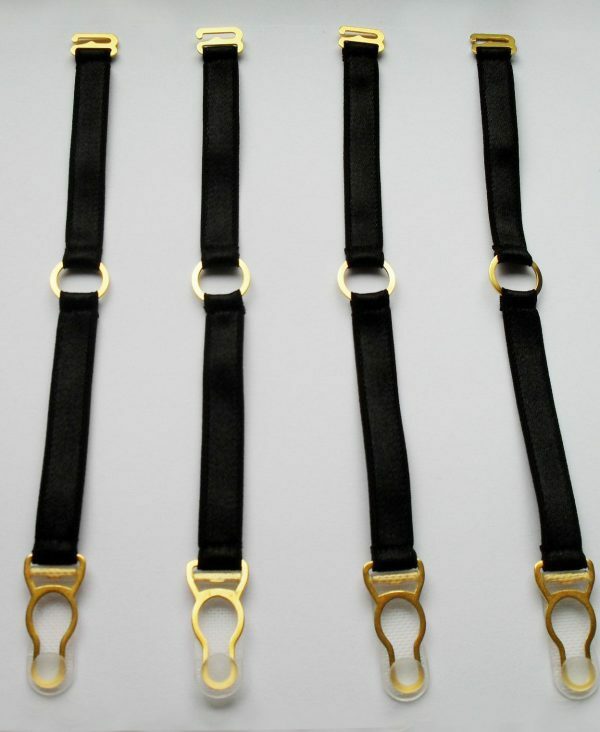 Gold-plated metal hooks and sliders. Adjustable triple band for the perfect fit. Adorned with an embroidered flower centred with beads and a faux pearl.